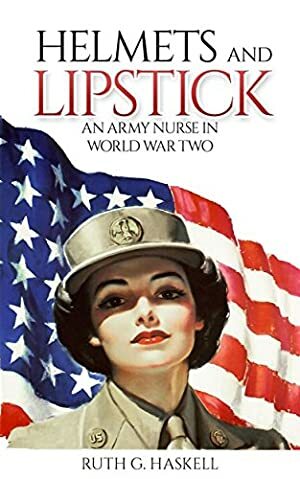 Helmets and Lipstick is the first-hand account of Second Lieutenant Ruth Haskell, chronicling her time spent as a combat nurse with U.S. troops in North Africa during Operation Torch. First published at the height of the war in 1944, Haskell's memoir is a classic account of combat nursing in World War 2, an important addition to the literature of the war in North Africa and of the history of non-combatants in the Second World War. Log In to track Ruth G. Haskell on eReaderIQ. to be notified each time the price drops on any book by Ruth G. Haskell. to stop tracking Ruth G. Haskell. We started tracking this book on August 2, 2017. The price of this book has changed 15 times in the past 632 days. The current price of this book is $0.99 last checked 12 hours ago. The highest price to date was $5.69 last reached on May 23, 2018. This book has been $5.69 one time since we started tracking it. We last verified the price of this book about 12 hours ago. At that time, the price was $0.99. This price is subject to change. The price displayed on the Amazon.com website at the time of purchase is the price you will pay for this book. Please confirm the price before making any purchases.